What's happening at Royal Mail? If you haven't heard already, here in the UK we are experiencing 'dispruptions' in our postal service due to Royal Mail workers taking strike action by staging a series of walkouts. There was a national strike last week and one is planned for next week and these are set to continue in the run up to Christmas (unless and agreement is reached between Royal Mail and the union). So far, the strikes have caused a severe backlog of millions of parcels and letters so obviously delays (or worse, losses/damages) are inevitable. Contingencies for UK customers. I have put some contingencies in place to ensure customers still receive their orders quickly and reliably by switching all shipping to courier only (which would remain unaffected by the issues at Royal Mail) and I am able to offer UK mainland courier shipping at a rate much lower than previously. My European friends. That is all great news if you live in the UK. However, it saddens me deeply that my friends across the channel are presently unable to enjoy the Royal Mail shipping rates for small orders. Nothing stings quite like having charge an overseas courier fee for a small order (which may not even be to the value of the shipping itself). Courier shipping to Europe still works out good value for larger orders though. 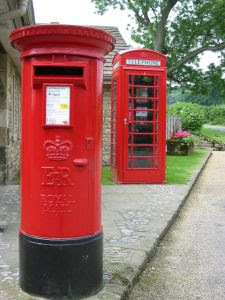 Hopefully someday soon we can all get back to normal and a happy resolution is reached between Royal Mail and its workers. Hi Helen, would those courier rates apply to Ireland also? great blog and boo to postal strikes!